The Grade 1 Challow Novices’ Hurdle is the centrepiece of Newbury’s card on Saturday. Run at just over two miles and four furlongs, the race has a short yet illustrious roll of honour. 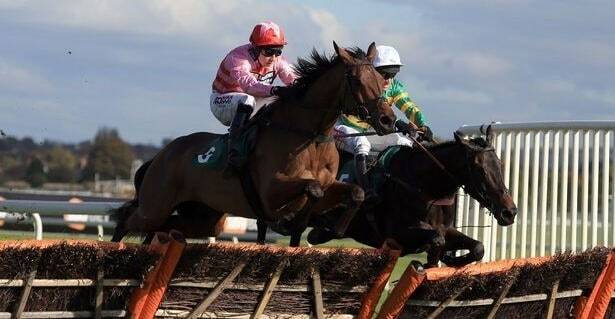 Classy types have taken this, and gone on to take high order over hurdles and fences. Large Action was successful in 1993, before finishing third in the Champion Hurdle a few months later. Trained by Oliver Sherwood, he went one place better the following year, when chasing home Alderbrook at the Festival. Cornish Rebel won the Challow in 2003, and went on to become an outstanding staying chaser. Third in the RSA at Cheltenham in 2005, he came second in a Scottish National, third in a Welsh National and third in the Hennessy Gold Cup. A horse that went on to become one of the great staying chasers, took this in 2006, though the race was run at Cheltenham. Denman finished runner-up in the Neptune that season, but returned to the Cheltenham Festival to win the RSA and of course the Gold Cup. His demolition of Kauto Star was one of the most incredible performances I have ever witnessed. His victories in the Hennessy were no less impressive. He was a true warrior on the track, a mighty racehorse. Wichita Lineman took the Challow the year after Denman. He too went on to festival success when winning the stayers novice hurdle at Cheltenham. His most memorable win came over fences at Prestbury Park, when taking the William Hill Trophy Handicap Chase, thanks to an incredible ride from AP McCoy. Only the ‘Champ’ could have got the horse home in front that day. Further top-class winners of the Challow Novices’ Hurdle include; Diamond Harry, Reve de Sivola, Fingal Bay, Taquin du Seuil, and last year Barters Hill. This year’s renewal has attracted a similar array of talented looking contenders, though the final line-up is still uncertain. Gordon Elliott has a talented team engaged, though it would come as no surprise should none arrive. Death Duty for Gigginstown and Baltazar D’Allier owned by JP McManus are the two outstanding challengers. The former has arguably been the most impressive Irish novice hurdler so far this winter. Should he travel over, he’ll take all the beating. One that does look certain to make the start is the Dan Skelton trained Robin Roe. Sensational at Aintree on his hurdling debut, he has an eye-catching pedigree, being by Robin Des Champs out of a Flemensfirth mare. He’s a gorgeous looking gelding, built for fences. It’s always unwise to go overboard on the back of such little evidence, but he does look to have huge potential. Alan King is set to run Messire Des Obeaux, who last time gave 7lbs and a beating to the useful Ballyandy. He got the better of Nicky Henderson’s Cultivator on that occasion, and the two are set to clash again. They appear closely matched and set a solid standard, though maybe lack star quality. Geordie Des Champs has been kept busy by trainer Rebecca Curtis, and is three from three so far over hurdles. Like Robin Roe, he is by Robin Des Champs and is likely to make a lovely chaser. He showed plenty of guts last time, winning under a double-penalty at Warwick. Owned by JP McManus, this fella looks sure to go close. Colin Tizzard has been sweeping all before him, and should Elegant Escape take his place at the start, he’d be impossible to dismiss. His jumping was somewhat patchy last time, when battling bravely to win at Ascot. He’s undoubtedly talented, but this marks a huge step up in class. I’d expect him to run well, but likely come-up a little short at this level. In the likely absence of Gordon Elliott’s best performers, I hope and expect that Robin Roe will prove too good, though his lack of experience is a slight concern. I believe that the battle-hardened Geordie Des Champs is his main danger.